Believing that something is wrong with us is a deep and tenacious suffering, says Tara Brach at the start of this illuminating book. This suffering emerges in crippling self-judgments and conflicts in our relationships, in addictions and perfectionism, in loneliness and overwork--all the forces that keep our lives constricted and unfulfilled. 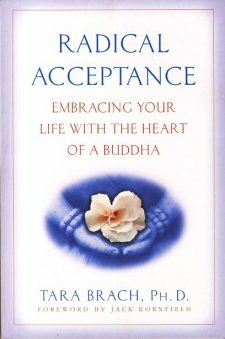 Radical Acceptance offers a path to freedom, including the day-to-day practical guidance developed over Dr. Brachs twenty years of work with therapy clients and Buddhist students.